The unique properties of rubber as a strong yet flexible material lead to its widespread use in food processing. Rubber polymers are used for seals, gaskets, hoses and conveyor belts. 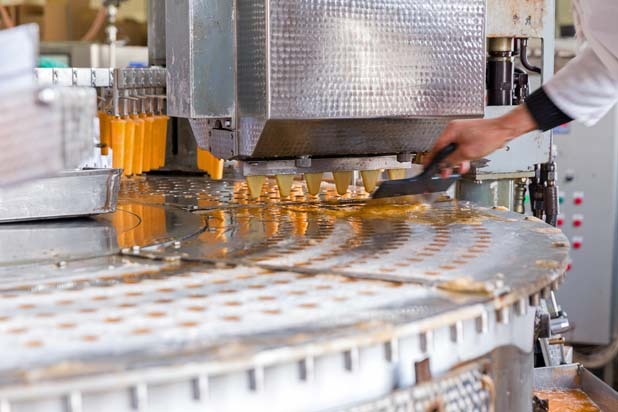 FDA compliant Kalrez® parts offer the food and beverage industries a new level of sealing against process contamination, leaching and seal failure. 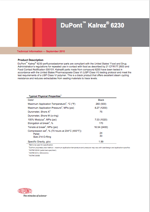 Kalrez® combines thermal and chemical performance with a rubber like sealing ability. Fluid seals also distributes DuPont™ Krytox® NSF certified H-1 and H-2 oils and greases. NSF H-1 compliance means they may be used wherever there is a potential exposure of the lubricated part to food. Krytox® Food Grade lubricants are serviceable at continuous temperatures between –60° and 300° C. They are completely odourless and tasteless. When and how does leaching occur? It is inherently undesirable for any chemical component of the rubber to migrate into a foodstuff during processing or storage. Rubber compounds are complex formulations that undergo chemical transformation during vulcanisation. Rubber components that can potentially migrate include low molecular mass monomers, vulcanising agents, plasticisers, oils and waxes and their breakdown products. For example, polar plasticisers such as di-2-ethylhexyl phthalate are readily soluble in alcohol so plasticised rubbers should not be used in contact with alcoholic beverages. The compounds 2-mercaptobenzothiazole (MBT) and benzothiazole (BT) may migrate from rubber during the manufacture and storage of food or drink. Research has shown that this might happen. Both MBT and BT migrated from rubber into laboratory solvents. Similarly, the acrylonitrile monomer is of concern to health authorities and is not permitted to migrate at detectable levels so levels of free monomer must be tightly controlled during production.